The Athenaeum at the California Institute of Technology is a rare find. As a private membership club, the attention to details in service is high. Offering an invitingly warm-toned indoor lounge complete with massive fireplace, ornate wood paneling, and vaulted exposed beam ceilings, you truly feel as though you are part of an elite group while relaxing. There is an open-air outdoor venue complete with arched walkways lined by Romanesque pillars, tailored lawns, mature trees and a dance floor under the sun or stars. In many ways The Athenaeum replicates the sophisticated charm of historical grandeur that is native to Pasadena, CA. From the wedding venue itself to the on site guest accommodations, you will be enveloped in the riches that these historical surroundings offer. 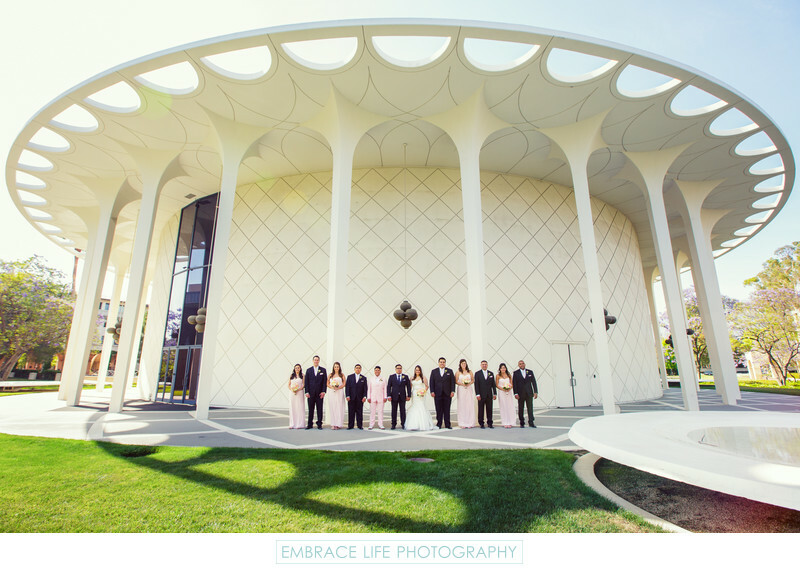 Embrace Life Photography would be honored to provide you with wedding photography that captures the riches of the first step towards your new history together at The Athenaeum at Cal Tech Pasadena.